Colorado Economy Journal: How important is Cattle Ranching in the West? How important is Cattle Ranching in the West? As I am smart enough to not express any opinion here about the current protests being staged by cattle ranchers in Oregon, I thought it might nevertheless be helpful, or at least interesting, to look at how much of the cattle industry is located in Western states (including Colorado) and how central it is to the local economies. After a little examination, it seems that beef cattle are really a quite small part of the Colorado economy, and the Rocky Mountain economy overall. In Colorado, for example, agriculture overall "comprises only 1 percent of production and less than 2 percent of jobs." Of that one percent, ranching comprises around 60 percent. This means that cattle ranching is well under one percent of Colorado's economy. Ranching could completely disappear from Colorado and our economy would certainly not collapse. Among Western states, Montana, by far, has the largest agriculture sector at 5.7 percent of GDP, according to the Bureau of Economic Analysis. 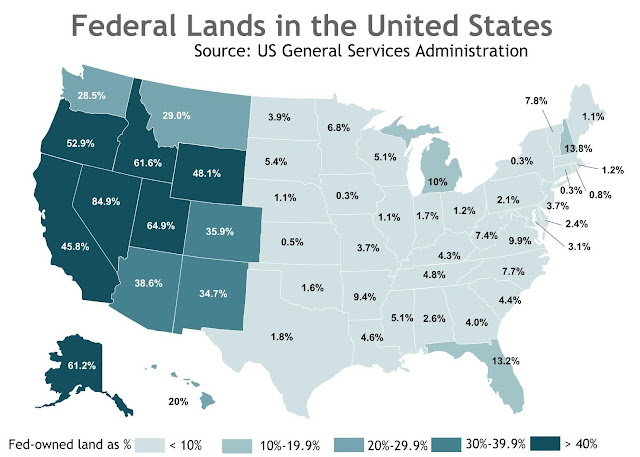 All other Western states come in around 2 percent or less. Contrary to the mythology, the economy of the American West is centered on the cities. Also notable, however, is the fact that, in spite of the stories we're told of how "the West" is the home of the cowboy, there are relatively few beef cattle West of Kansas. If we include states like Texas, Nebraska, and Kansas in our definition of "the West," though, yes, there are a lot of beef cattle in the West. But, if we limit our view of the West to the West Coast and the Rocky Mountain region, things are rather different. Among the top states, only Montana makes it into the top ten, and that is largely a function of Montana's immense size — it's the fourth largest state by area. 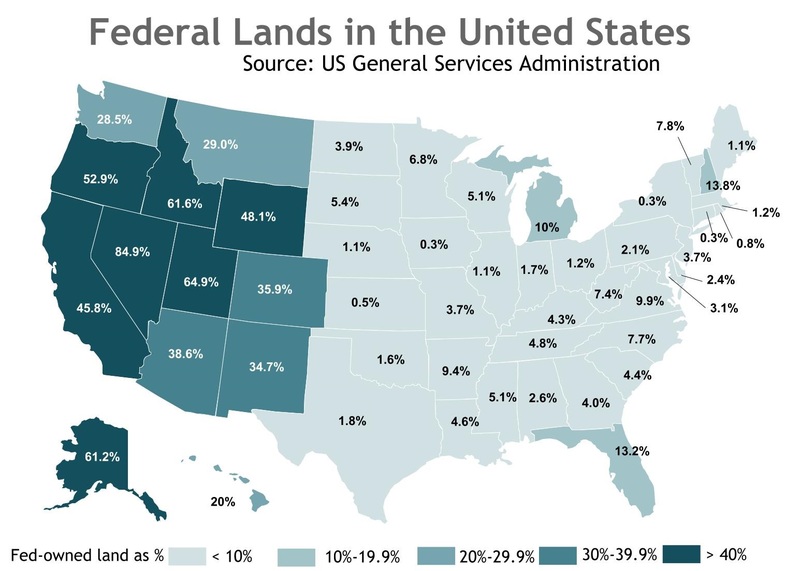 But, the cattle ranching heartland is most certainly not in the states with large amounts of federal land. The industry is centered around Texas, Nebraska, and Oklahoma. In fact, those three states alone contain 26 percent of all beef cows in the US. Texas alone contains 15 percent of all beef cattle. In this case, Montana comes in at 19th, well behind numerous prairie states, and even some southern states. In fact, if you want to see a cowboy rounding up cows, you'd be better off visiting Kentucky, Missouri or Iowa, than Colorado or Oregon. The vast majority of beef cattle production (i.e., 80 percent) in the United States occurs nowhere near federal grazing lands, and even the beef production that does occur in those states is not necessarily dependent on federal grazing. Now, if we think about it, this distribution should not surprise us at all. Cows are not well suited to the high-altitude and arid lands of the West, and it makes more sense to raise beef in areas where water and pasture are more readily available.